TicketStubCollection.com is dedicated to the history of ticket stub artwork and ticket stub collecting. 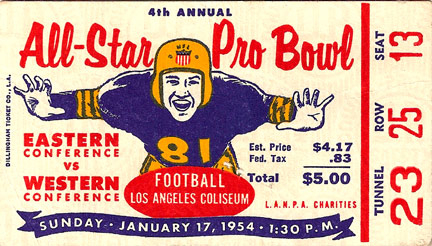 The site hosts over 20,000 ticket stub images from the sports and entertainment worlds, and each ticket is tagged enabling visitors to search by year, venue, artist, city, league or team. 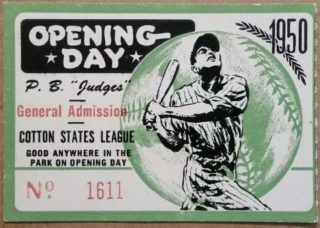 Importantly, over 3,000 ticket stubs include recent auction closing prices to better inform collectors of the approximate market value of highly sought-after ticket stubs. TicketStubCollection.com is a free resource to the ticket stub collecting community, and gladly accepts digital and hard copy submissions of your favorite memorabilia. Email us at russ@ticketstubcollection.com or mail hard copies of tickets to: 4551 Kensington Dr., San Diego, CA 92116.